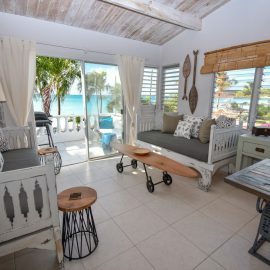 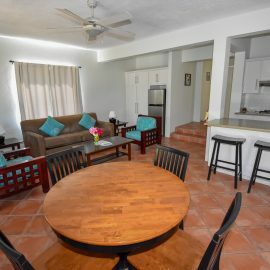 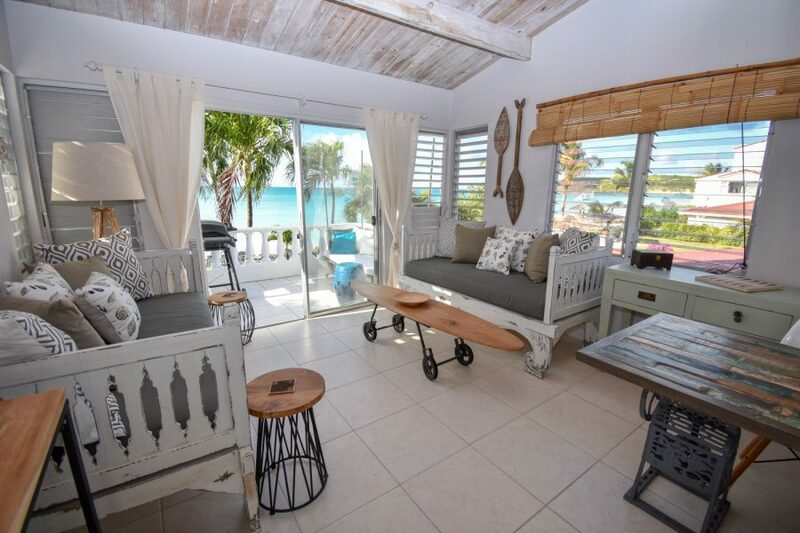 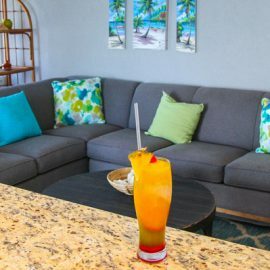 There is currently only one beachfront studio available within the rental program at Antigua Village. 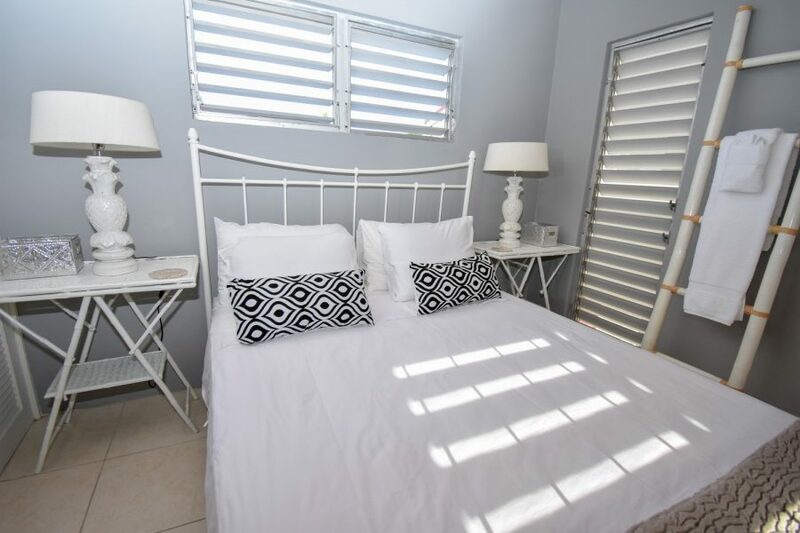 This beautiful first-floor unit provides a spacious living for two people sharing. 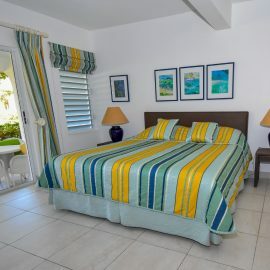 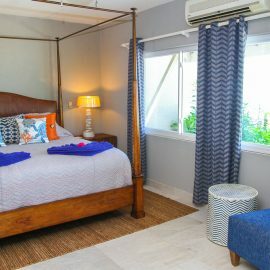 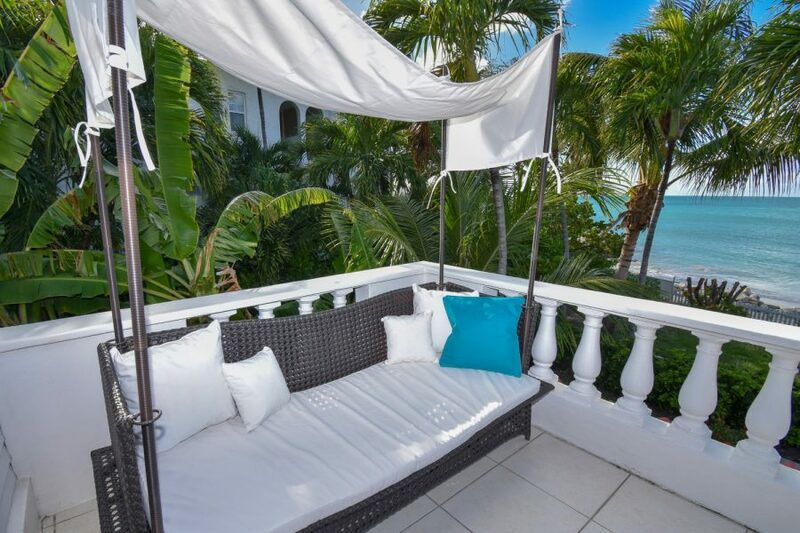 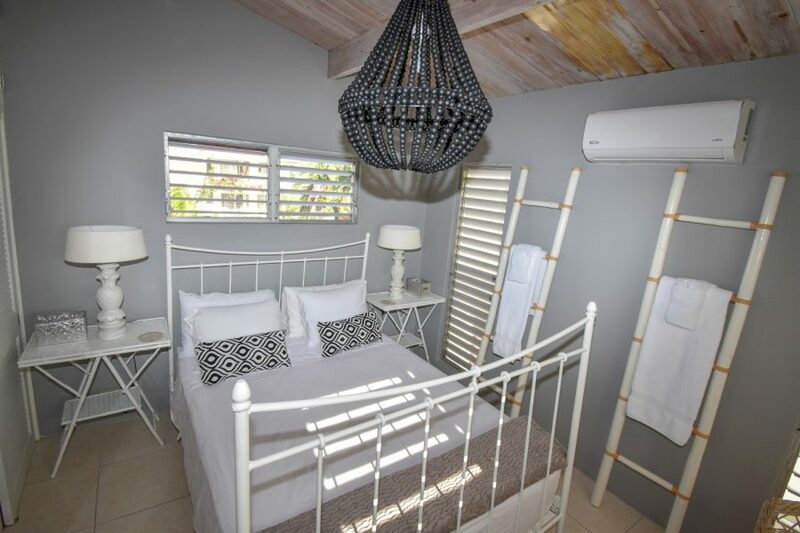 The studio has a separate bedroom with a queen bed and a large balcony with sun beds overlooking the Caribbean Sea. 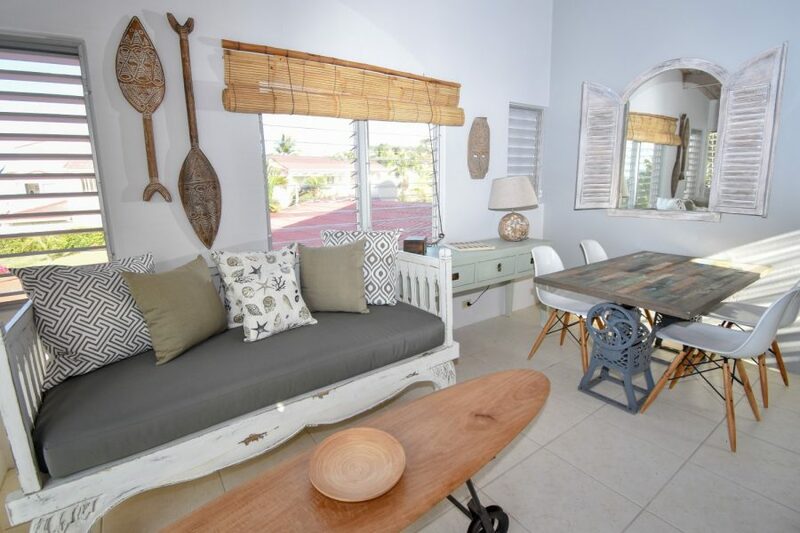 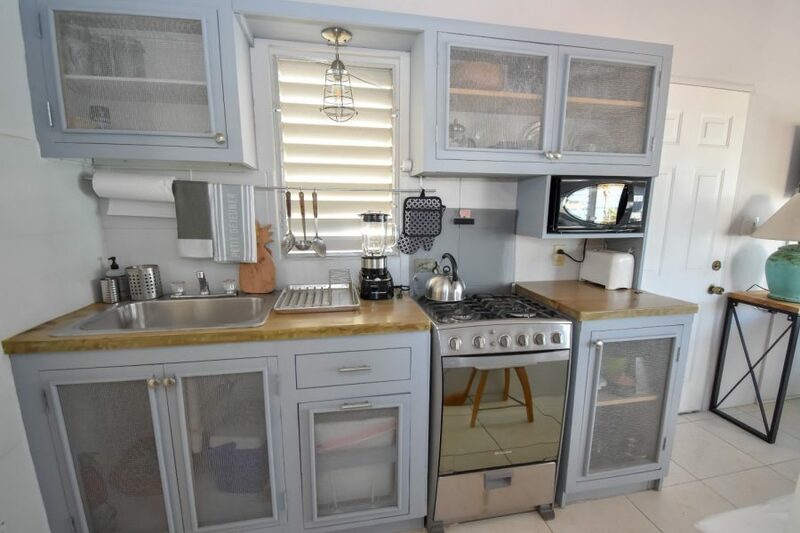 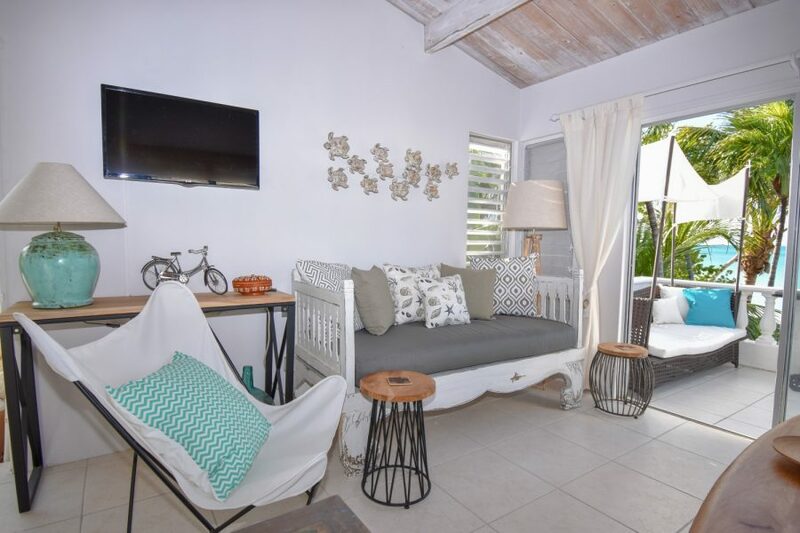 This unit like all units in Antigua Village is individually owned, decorated and furnished according to the taste of the owner thus nothing is standard. 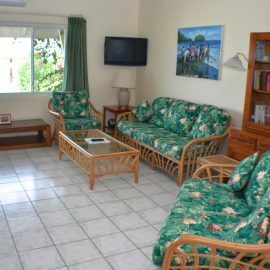 The studio also has a fully equipped kitchenette, private bathroom, air conditioning, direct dial telephones with voicemail and multi-channel cable television and free WiFi. 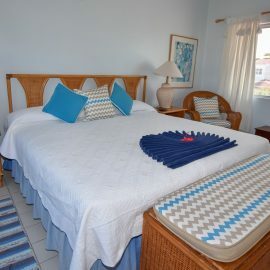 The beachfront suites offer glorious views across the Caribbean Sea and sweeping vistas along Dickenson Bay.